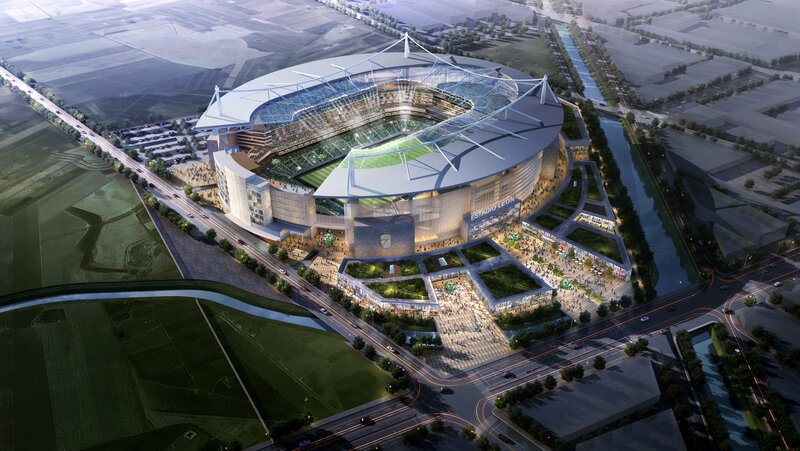 As announced, the official design for new León stadium has been revealed before the end of September. 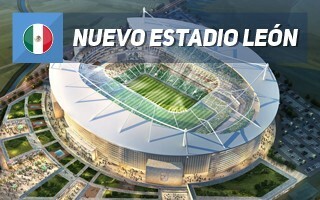 The project is to be built along Boulevard Francisco Villa, in north-eastern part of the Mexican city. 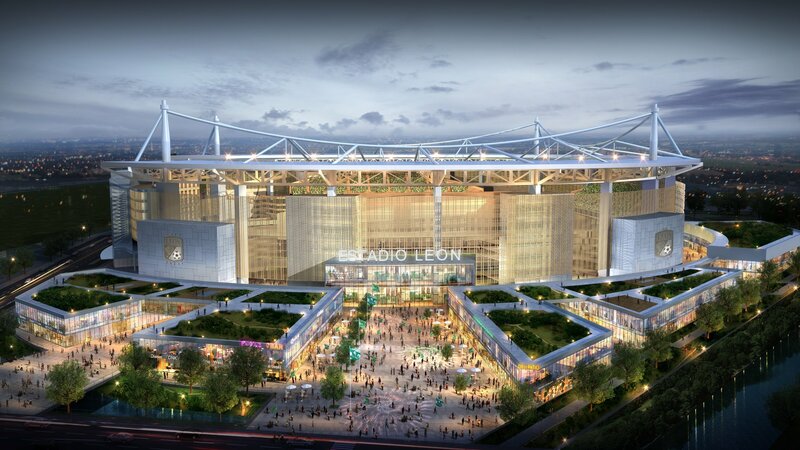 Six major bidders took part in the design competition, with teams representing the finest of Mexican, American and Spanish stadium designers. HKS Architects were selected as winners, making it the biggest success for the company's Mexican branch. 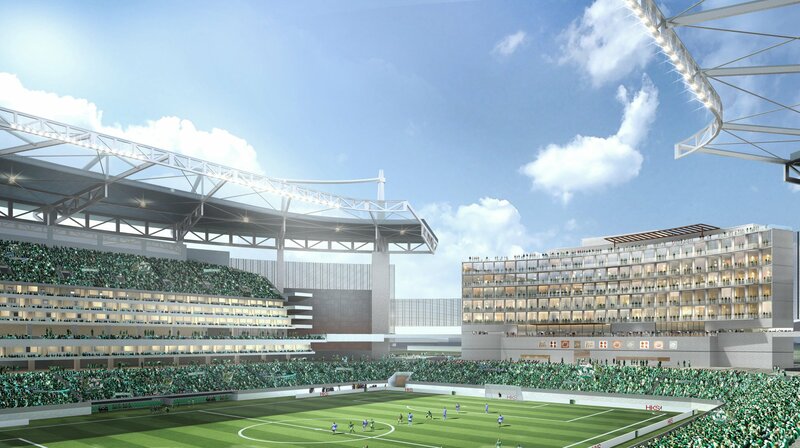 As you may recall, general contractor for the project has already been appointed and now awaits completion of design works and planning procedures. It's expected that groundbreaking might come in 7 months. 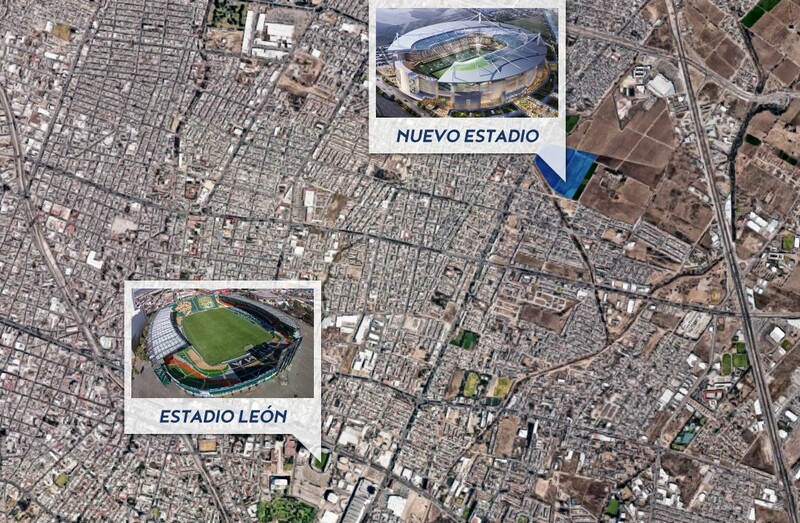 Should that happen, the MXN 2 billion project ($105m) is expected to open its doors in 2021.